Beyond property-related guidance, trained ERA agents can offer financial advice on asset management, trust and will creation. Real estate firm ERA Realty Network unveiled its pilot project Plush by ERA in an effort to become more adept at meeting the increasing demand of their high-net-worth (HNW) clients by providing its agents with enhanced financial training, an announcement revealed. A fully certified Plush real estate agent will be able to offer services for property transactions, as well as advice on asset managements and enhancement, trust and wil creation and estate and succession planning, the announcement added. Through Plush by ERA, agents can enroll in two courses. The Ultimate Wealth Seminar is a series of seminars which will be conducted by either inhouse or external trainers focusing on wealth creation, enhancement, distribution, protection and transfer. The Estate Planning Course is a two-day associate estate planning practitioner certification programme. “Under Plush by ERA, agents will acquire the requisite expertise in their specialised property segments and become more adept at interpreting the vast research data available to them.” the firm added. Likewise, agents will also learn how to preempt conflicts which rise on the back of the varied developers’ commission schemes, co-broking arrangements and agency opportunities. "The rigorous wealth management and asset planning training will raise the competency level of our agents, and empahsise the importance of ethics," Chua highlighted. Over 100 of the firm’s real estate professionals were invited to participate in the initiative during the first phase of the rollout. The project will kick of in Singapore and will later be offered across the firm’s network across the Asia Pacific (APAC) region. Whilst demand for local properties has dipped after the rollout of cooling measures, Core Central Region (CCR) transactions have remained encouraging, the firm explained. From July to November 2018, property transactions worth above $2m reached 64% from 50% in 2017. 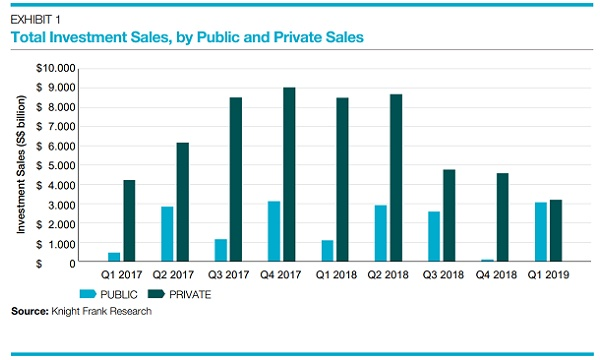 “Historically, 2018 was the best year for CCR transactions above $2,000 psf with close to $10b sales volume,” the firm added. The firm also noted how despite APAC fast becoming an HNWI powerhouse after accounting for 31% or $27t of global HNW wealth in 2017, over 30% of HNW individuals are not satisfied with the services provided by their wealth management firms. “Concerns over the lack of holistic services from wealth management firms, perceived low value-add management fees, and a lack of personal connection with their wealth managers were top reasons for this discontent,” ERA said.